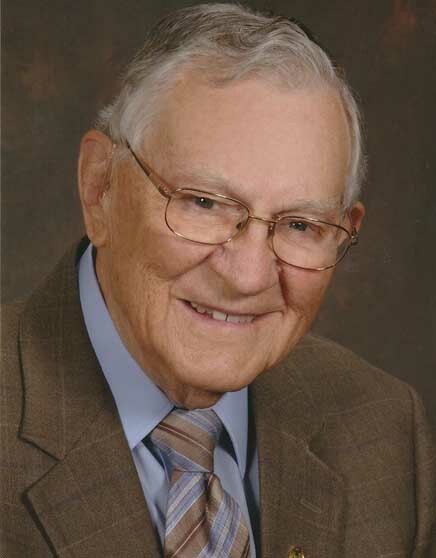 Hallie Glen Bailey, Jr., 90, a longtime Independence resident, passed away June 7, 2018, at Kansas City Hospice House with family at his side. Visitation will begin at 9:30 am, followed by a service celebrating Glen's life at 11:00 am, on Saturday, June 9, at Raytown Christian Church, 6108 Blue Ridge Blvd., Raytown, MO. Burial with military honors will be at 2:00 pm at South Point Cemetery in Orrick, MO. Memorials are suggested to Raytown Christian Church, Kansas City Hospice House or to Honor Flight KC. Glen was born on March 8, 1928, in Orrick, MO. He attended schools there through high school and entered the Army in 1946. Glen served 30 months in Germany, assigned to the First Engineer Company Battalion of the First Infantry Division. He attained the rank of Staff Sergeant. Glen and Lola Reid were married on April 18, 1952. He attended Missouri Valley College and Central Missouri University, receiving BS and MS degrees in Education at CMS. Glen began his teaching career in January, 1955 in the Independence School District. After three years teaching, he became an elementary principal, serving at Oldham, Luff and Ott schools. Glen served as President of the Jackson County Elementary Principals' Association. He was a past member of Independence Kiwanis, Missouri Historical Society, National Frontier Trails Center, and Independence and Missouri Retired Teachers' Associations. Glen delivered Meals on Wheels for 13 years. He was a lifelong member of the Christian (Disciples of Christ) Church. Glen was preceded in death by his wife, Lola; parents, Hallie G. and Frances (Vance) Bailey; three brothers, Morris, Billy and Bob. He leaves two daughters, Glenda Bailey and LuAnn Bailey Roberts; son-in-law, Randy Roberts; and granddaughters, Erin and Carly Roberts. What a great father you were. I cherish your smile and the many things you taught me. The way you called me "Shug", the way you loved my girls. You were loved by so many as evidence at your celebration of life. Wishing you peace in your eternal life in Heaven. I remember meeting this gentleman first as Mr. Bailey, my principal at JW Luff Elementary. Then I saw him at a family get together, It was explained to me that he was Aunt Ramona's sister's (Lola) husband. Ready...we said...father's, brother's, wife's, sisters, husband ! We got a good laugh at drawing it out. Rest in Peace sir. I met Glen when Reba Roes connected me with him because he kept track of family history. I didn't have the interest or time to ask my dad questions when he was living--what a shame! He would have loved to talk about his family. But along came Glen with lots of information. His family bought the house where my grandfather was living before he came to live with us in Bonner Springs. Glen and I would share bits of history we had discovered for several years. He was always so kind and willing to answer my questions. I'm so thankful to have known him.